While the Accord Cello Case has been around for a good long while, there was a lull in getting enough of them into the USA. In fact, for the past 6 or 7 years there was just a trickle of them coming in so there weren't enough people or enough 'buzz' going around to show how gr eat these are! Now with new distributing, it is much easier for us to obtain and offer these great cello cases. Accord was really the first to raise up the old, heavy fiberglass cello cases and make them sleep and so much lighter. The newer technology of making carbon fiber cello cases is just amazing. What's so great about these 'expensive' cello cases??? Yes, these aren't your cheaply priced entry level cello cases of yesteryear, but once you put your cello in it and then carry it to you car, train, bus, or bike(! ), you will never go back to your old case...ever! Using materials like carbon fiber in cello cases has been around awhile, but the new technology of heat thermal (autoclave) pre-pregged aerospace, has made them stronger than ever and super ridiculous low in weight. The Ultralight weighs only around 4.9 lbs which is actually lighter than a cello COVER! It doesn't take much explanation of why anyone would pay for a light carbon fiber Accord case: Even 1 pound added onto the case, in the long run, adds up. It's hard on our bodies pulling, lifting, carrying the cello (in case) day in and day out. It's hard and physical enough to play the cello once you are on stage, so the least stress you have before and after, the healthier you will be. End of story! Accord Hybrid (This case is often called, the 'Special' on other websites or by other dealers) Just as the name implies, it is a hybrid or combination of the strong lightweight carbon fiber material and fiberglass. Carbon fiber is so expensive per square inch that combining it with the fiberglass saves on cost, but makes for a very strong case. These weight around 7.5 lbs. (See chart below for color choices and sizes.) You will not see our prices here as they are too low and makes all the other dealers crazy! 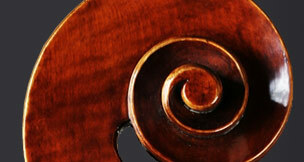 Have you seen our combined cello strings site? Just call, 800-600-2689 or 480-785-5491 and we can quote you over the phone. The Standard, is probably Accord's most popular case. It is very light, at 5.8 lbs and is made completely of carbon fiber. One will often see these for sale for around $2,600, but again we ask our customers to please call us for their special price. We will always give the best price. The Accord Ultralight. Just as the name implies, this IS a super, ultra lightweight case! At only 4.9 lbs., there is no other case that is this light and this well made. These cases are the most expensive because the lighter the case is, the more labor and technology has to be utilized. With these cases, use pre-pregnated carbon material that is carefully pre-cut and placed into the case mold and then heated and vacuumed to completely eliminate every last drop of resin (this is what makes the cases rigid.) So, you have a beautifully functioning cello cases, below 5 lbs and it is still very protective for the instrument. These cases are pretty close to the Standard Accord case, but the obvious difference is about 1.1 lb. For some, it may seem like a super small difference to have to pay for, but it truly makes a difference in use of the many years you will keep your case. With the incredibly lightweight materials used, these cases will last a long time. They cannot get much lighter than this, but customers should also be aware that Accord has an incredible customer service record. For instance, say you buy one of these deluxe cello cases and use the heck out of it for many years. Any case, will show wear, especially on the inside where the cello is put in and out for so long. The strapping or padding, over many years, will wear out. Accord actually takes their cases back and completely re-cushions and re-conditions the cases. There is a small price for this service, but is a good testimonial for how well the cases hold up over time and Accord Case company's service. There is no 'point and click' shopping cart for these cases. Please call to order, 800-600-2689 or 480-785-5491. Sizes: Accord cello cases come in a 7/8 size, 4/4 Medium (this fits most cellos), 4/4 Large and XXL. While most all cellos fit the 4/4 medium, here's a couple of links to look at to 'size' your cello. First, this Accord Cello Case Measurement Chart will show you where to measure the cello. Then, go to the Accord Cello Size Chart to enter in your measurements and see what size best fits your cello. Again, look more towards the medium sizes. There won't be a perfect fit in any case, but mediums again tend to fit most all 4/4 size cellos. Available in two colors: matted white (as shown) and trans-black. Trans-black is has 'carbon fiber' look that is quite popular and it is shown directly below here in the 'Standard' case.